It’s all in the number. 5ive and 911 are two of the most popular boybands Britain produced in the 90’s. I figured out recently that post pop bands would do a Southeast Asian tour first before invading their own country and if they make it big in the rest of Europe, they’re set to conquer the United States of America! 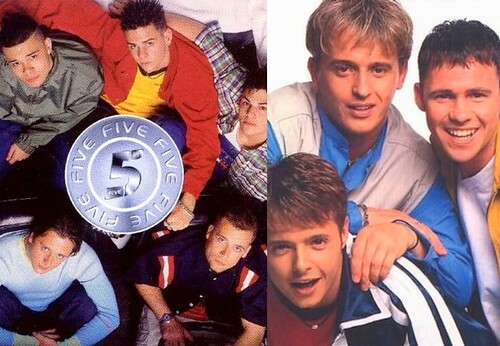 5IVE and 911 – British Boy Bands we loved in the 90’s! 5ive… when they were introduced to the media before, they were dubbed as the ‘Spice Boys’ by the press because they were discovered by the people behind ‘Touch’ (original name of the Spice Girls). Aside from their good looks and dance moves, their music is a fusion of pop and rock. 5ive is the boy band with an edge. When I got accepted at the school dance troupe in high school, ‘Keep on Moving’ is our ‘premiere’ dance presentation. Good times!